Walk into the domain of any male teenager or young male adult and chances are you will hear the sounds of various guns going ablaze. Shooting games, in particular first-person shooters, have taken over gaming as we know it, and their prominence just keeps growing. Join a growing number of gamers who receive our newsletter to stay up to date with the world of video games. It's free! Half-Life 2 Co-Writer Eric Wolpaw Has Returned To Valve, But Why? Nintendo’s blockbuster gaming system is about to get smaller and even more affordable. According to a new report out of Japan, the Nintendo Switch budget model will launch in fall 2019. 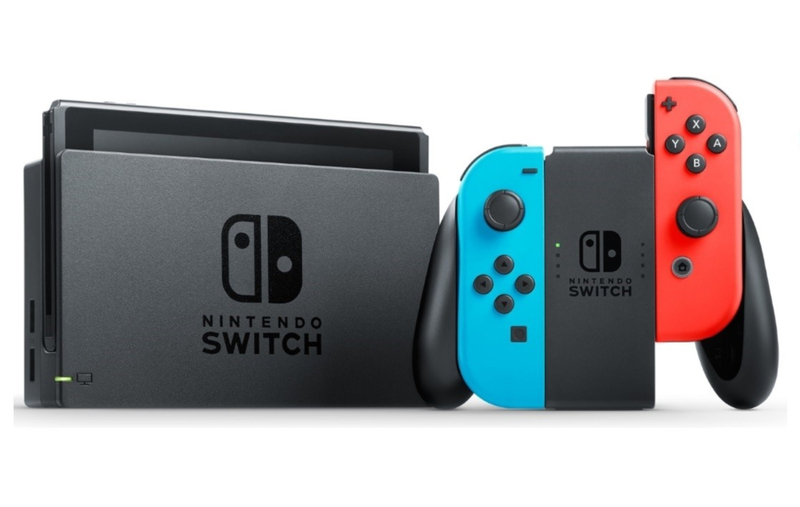 Rumors of a smaller, more budget friendly Nintendo Switch surfaced earlier in the year, and now Japanese newspaper Nikkei claims it will arrive just in time for Christmas. Despite being a “handheld” system similar to 2DS, it will be able to connect to televisions and placed in a dock. Nintendo is said to also have a Switch Pro model planned. This particular sku won’t be a huge leap in performance from the standard Switch, but it will be a technical upgrade nonetheless. The “Switch Pro” is expected arrive sometime after the “Switch Mini” launches. The PS5 will be a powerful beast of a gaming machine. In an interview with Wired, PlayStation’s lead architect Mark Cerny revealed that the PlayStation 5 features a GPU that supports ray tracing, as well as a solid state drive with higher bandwidth than any SSD currently available for PC. More specifically, Sony’s next-gen game console uses a third-generation Ryzen CPU that’s based on the 7nm Zen 2 architecture and utilizes eight cores, while the GPU is a custom chip based on Radeon’s Navi family, with ray tracing support. The company worked with AMD on components for the PS4, so it comes as no surprise that the PlayStation 5 uses AMD’s Ryzen CPU tech. The SSD inside the console is super fast. In a demonstration by Cerny, it only took 0.8 seconds to fast travel in Insomniac Games’ critically-acclaimed Spider-Man compared to 15 seconds on the PlayStation 4 Pro. Wired confirmed that the PS5 supports 8K resolution and will be backwards-compatible with PS4 games. It also contains a disc-tray, 3D audio integration, and is compatible with the current PSVR model. Despite having a disc tray, the PS5 will place a bigger emphasis on cloud gaming than the PS4. Sony’s vision for cloud gaming will become clearer as the console nears launch. Speaking of launch, the PlayStation 5 will not release in 2019. In fact, Cerny didn’t even call it “PlayStation 5”, nor did he provide a working codename. The fact that the original PS4 and the PS4 Pro were revealed after E3 and during an event in New York leads us to believe a full console reveal will take place later in 2019 or early 2020. What are your hopes for the PS5? Share your thoughts int he comments below. Are you ready for the next big Star Wars Game? Respawn Entertainment has finally revealed Star Wars Jedi: Fallen Order and plans to have it ready by November 2019. The reveal trailer is rendered in-engine and focuses on the story. “Trust No One” is the overarching theme. 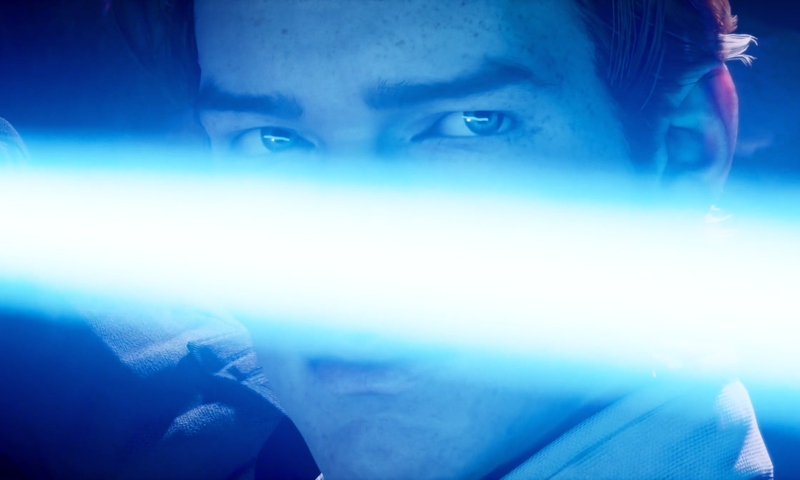 Like the The Force Unleashed, Star Wars Jedi: Fallen Order is an action-melee game that takes place after Order 66. You play as Cal, a fugitive a lightsaber -wielding, Force-endowed Padawan on the run from the Empire. Respawn stresses that combat is an integral part of the experience. Each enemy will have a unique fighting style, requiring you to approach them differently and identify and exploit their weaknesses. You’ll will have Cal’s Force Powers and various melee combinations at your disposal, as well as traversal and other platforming abilities to overcome enemies and solve puzzles. In addition to the main character, we get to see his best-friend, a droid called BD-1; a mysterious companion by the name of Cere; and Second Sister, one of the Empire’s elite Inquisitors pursuing you. Your adventure begins on Bracca, one of the brand-new Star Wars planet introduced in the game, where you will encounter droids, a number of familiar faces, various Trooper types and a slew of other interesting characters. 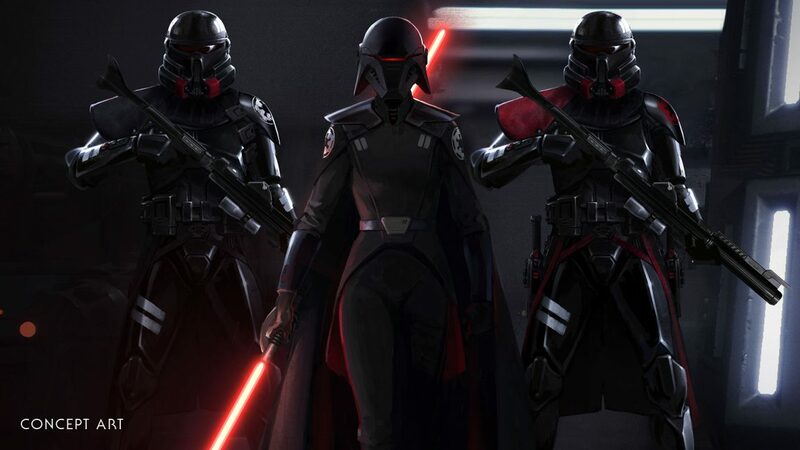 Star Wars Jedi: Fallen Order launches on November 15 for PC, PlayStation 4, and Xbox One. Pre-ordering it will get you “unique cosmetic content” for your lightsaber and droid companion. Does The Next Assassin’s Creed Take Place In The Viking Age? An Easter Egg may hint at a new Norse setting for the next Assassin’s Creed game. An Easter egg uncovered by wiki user AlifMorrisonudin in The Divsion 2 could point to the Assassin’s Creed series moving from Norse mythology to the Viking age. AlifMorrisonudin found a poster that depicts a Norse god wearing the Assassin’s Creed colors of red and white and holding an Apple of Eden artifact, another hallmark of the franchise. Ubisoft has a long history of stuffing Easter eggs into its games that either allude to or even reveal upcoming releases. A Watch Dog 2 mission, for instance, unveiled new sci-fi game Pioneer to players. What’s interesting is that the tease in The Division 2 is both subtle and in plain sight. There are multiple copies of the poster (some very large) scattered throughout particular parts of the game, yet who would have thought to look for the Apple of Eden in it? The Assassin’s Creed series was rumored to be code-named Legion and set in ancient Rome at around 169 AD, particularly near the end of Marcus Aurelius’ reign. However, more recent reports claim it’ss code-named Kingdom and does indeed star Vikings. Either way, Ubisoft hasn’t officially confirmed anything other than the fact that the next Assassin’s Creed will be released in 2020, so while the poster could be a hint of what’s to come, it could also be nothing more than a mere Assassin’s Creed Easter egg. Where do you want the next Assassin’s Creed to take place — Ancient Rome or the Viking Age? Share your thoughts in the comments below. She looks like a god, talks like a god and fights like a god. NetherRealm Studios has revealed a brand new playable character in Mortal Kombat 11, and she looks insanely powerful. 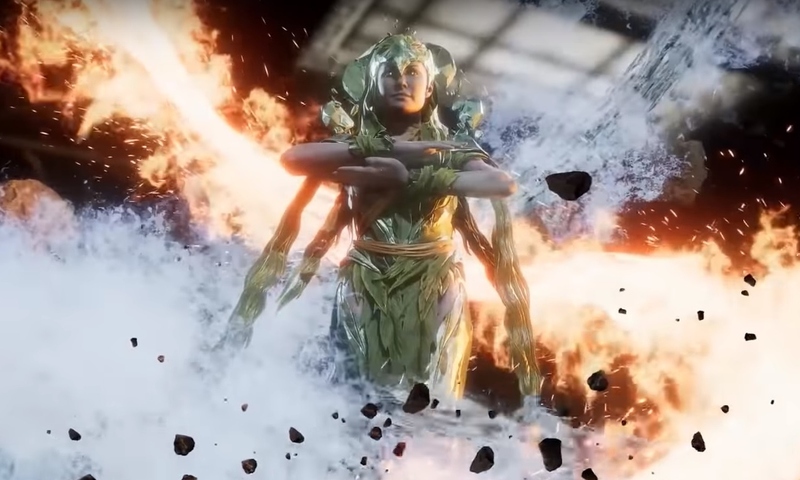 Judging my her reveal trailer, Elder God Cetrion is able to harness the powers of Mother Nature, freely using earth, fire, wind, water elementals in her brutal attacks. She can even grow in size until she is literally towering over the planet and shoot a giant mouth laser as part of her fatality. Watch her in action and let us know what you think. Do you see yourself playing her? Remember gaming in the 90s on your ‘SEGA!’? Well, get ready to relive those fond memories. Sega used Sega Fes 2019 to provide more details on the Sega Genesis Mini. Scheduled to launch on September 19 in the United States, the Mini will come with 40 pre-installed games, with the list differing by region. There will be Two different skus, one featuring a single controller ($60) and with two ($80). 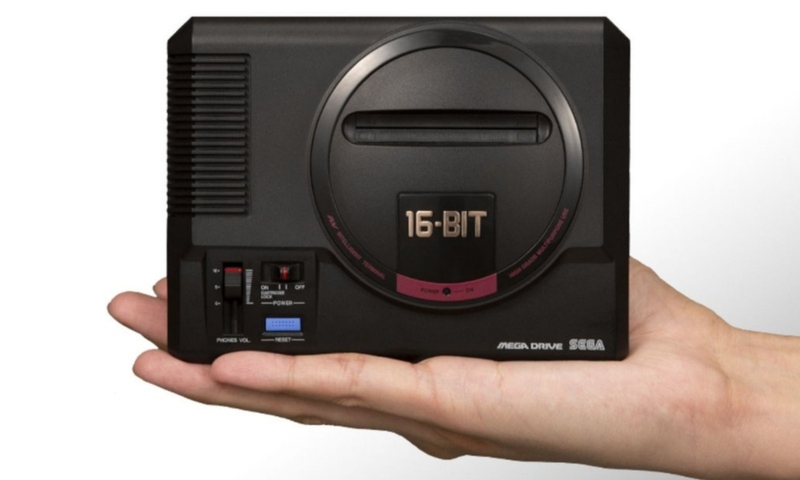 Like the original console, it will be called ‘Mega’ Drive in its home market of Japan and in Europe, and ‘Genesis’ in theUnited States, Canada and elsewhere in North and Central America. Sega went the extra mile to make the Genesis Mini look and feel as true to the original console as possible. Designers gave it sliders that push down the cartridge slot cover, as well as the original console’s button layout. The Genesis Mini also features four quick save slots and various language settings. Located in the back, its HDMI output is powered by microUSB and supports 720p resolution . What games are you looking forward to playing on the Sega Genesis Mini? Mortal Kombat 11 – Why Should You Be Excited?